This blog is a place for me to share beautiful, well-designed things. By things I mean anything that catches my eye within a wide range of interests - art and architecture, fashion and jewelry, typography, useful household items, interior design, landscape design, photography... you get the idea. 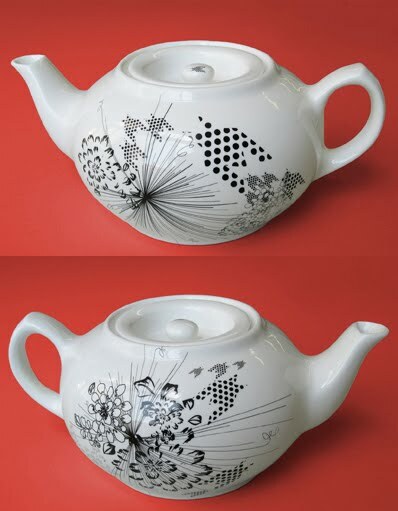 I've been thinking a lot about the design of everyday objects. I've been finding a lot of seemingly everyday things that are so well designed as to be superbly inspiring. 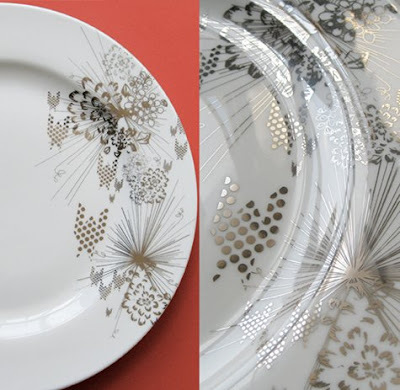 Included in that is a line of dinnerware from Lorena Barrezueta called Burst. I'm not sure I'd be able to use these. I would just want to display them somewhere in my house. They are so intricate, modern, and elegant. If you need a creative designer to improve your graphic identity, contact me for a consultation. 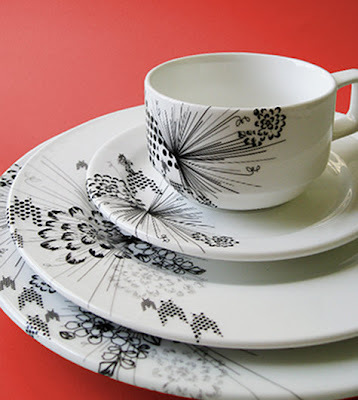 I was so excited to see this beautiful dinnerware It is really intricate, modern, and elegant.